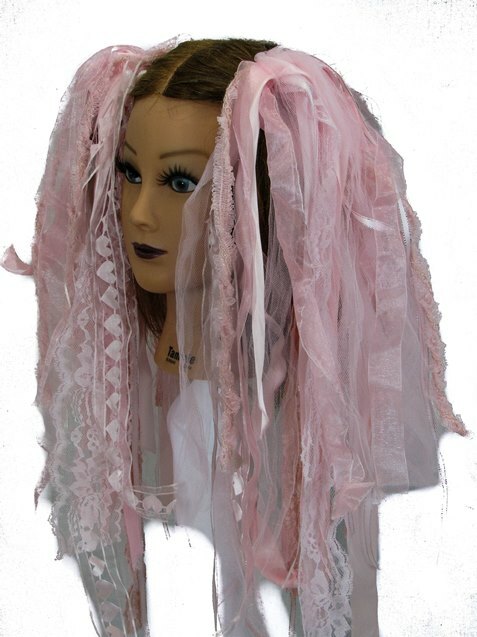 Baby Pink Gothic Ribbon Hair Falls by Dreadful Falls [ALLBABYPRibbon] - $25.00 : Mystic Crypt, the most unique, hard to find items at ghoulishly great prices! Each pair of Dreadful Falls Ribbon fall sets contain 2 falls that can be worn together as one, or as two ragdoll extensions for your pigtails. Attach one clip to each pigtail or wear them together attached to a ponytail at the crown of your head. 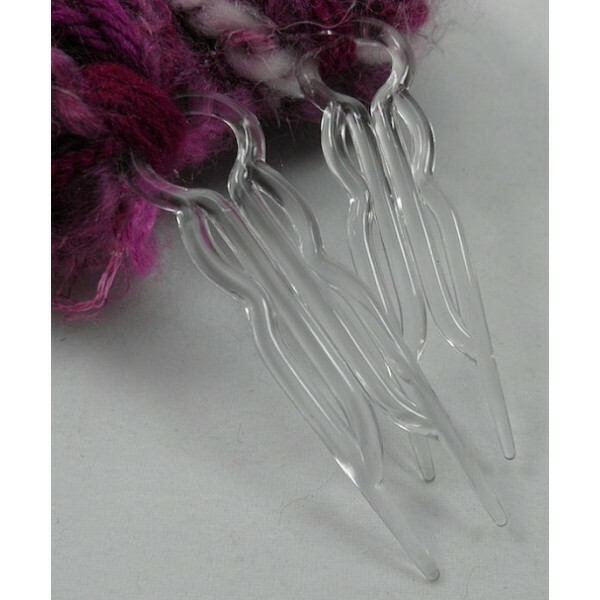 (See product photo of the plastic combs that secure easily to an elastic band). Unlike other hair falls, these are a breeze to wear and they are not too heavy to weight down your head. 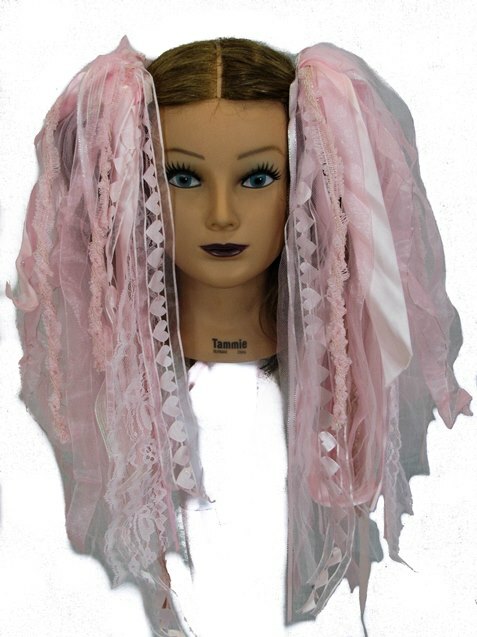 Great to wear at a gothic event, belly dancing, burning man, fairy festival, Gothic Wedding, Renaissance Wedding, or any other alternative event! Dreadful falls contain a mix of textures and materials including such pieces as lace, ruffle, grosgrain, lurex, sequin, rick-rack, satin, velvet, tulle, organza, metallic trims, pom-poms, animal and/or novelty prints. There is a minimum of 28 yards (that’s 84 feet!) of different ribbons and trims in every set. EACH of the two matching clips has at least 14 unique ribbon textures and widths. Anything from leopard to polka dot, spiderweb, skulls, and many other different ribbon prints and textures. Each Fall is unique, and will have slightly different ribbons than the next. NOTE: Dreadful Falls beautiful ribbon falls all contain the same volume. Please be aware that each set we create is unique. The set you receive will be identical in color as is seen in the photo. The set we used to photograph was chosen at random and is in no way superior to any of our other gorgeous ribbon falls. Any differences will be slight. Dreadful Falls are now made by the Mystic Crypt Team!